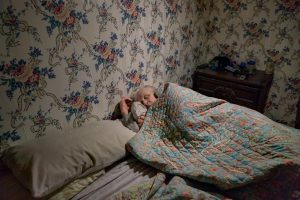 Its common that people are used to sleeping at their place and find it problematic to adjust in someones bed even if the place is same. It has been observed that a prominent percentage of travelers find it highly difficult to adjust at some other place for sleeping. A new global study commissioned by IHG Hotels & Resorts reveals that a staggering four out of five travelers have trouble sleeping when away from home. Released to coincide with World Sleep Day, the study found that business travelers, in particular, lose around 58 minutes of sleep each night when staying away from home, averaging just five hours and 17 minutes of sleep. 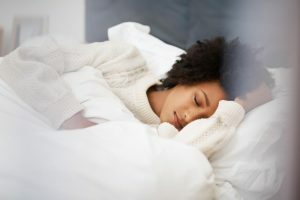 Among the causes cited for the restless night’s sleep are a different environment (44 percent); unfamiliar noises (35 percent); and working late (35 percent). More than two-thirds (67 percent) of those surveyed stated they feel more tired when they are away from home. To aid sleep, nearly half either try listening to music (47 percent) or watching television (45 percent). “It’s no secret that traveling can be challenging for our health, particularly when it comes to maintaining normal sleep patterns,” said Dr. Steven Lockley, an associate professor of medicine at Harvard Medical School. So what good is all of this data? IHG is using it as the basis for launching a circadian lighting pilot in partnership with Healthe by Lighting Science Group. To help travelers combat a restless night away from home, IHG is piloting the use of a portable JOURNI Mobile Task Light developed by Healthe by Lighting Science. The LED light is designed to help regulate sleep when traveling. Having greater control of light exposure when traveling can help promote sleep at the right time or similarly promote waking at the right time, preserving some sense of sleep normalcy when on the road, according to Lockley. The new devices will be available at all 16 IHG Hotels & Resorts brands, including Holiday Inn, Crowne Plaza and EVEN Hotels. “We’re excited to be the first hotel company to pilot this technology that uses LED lighting to improve guest sleep,” said Brian McGuiness, IHG’s senior vice president of Global Guest Experience. Crowne Plaza Atlanta Airport will be the first IHG Hotels & Resorts property to install the new light as part of the pilot project. Guests can adjust the light from the blue-enriched white spectrum of Healthe’s patented GoodDay technology used to boost energy and performance when awake, to the blue-depleted spectrum of the GoodNight technology for use in the evening in preparation for bedtime, to promote a more restful night’s sleep.